The Strand Theatre, on Twiggs St, was built in 1917 in the Mediterranean Revival style. 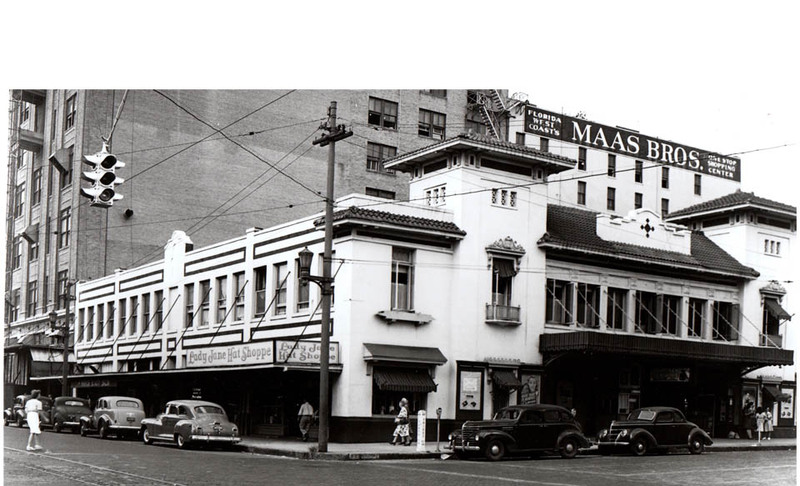 It the 1940’s it closed and was later absorbed by the Maas Brothers department store, sh shown in the newer of the two historic photos. 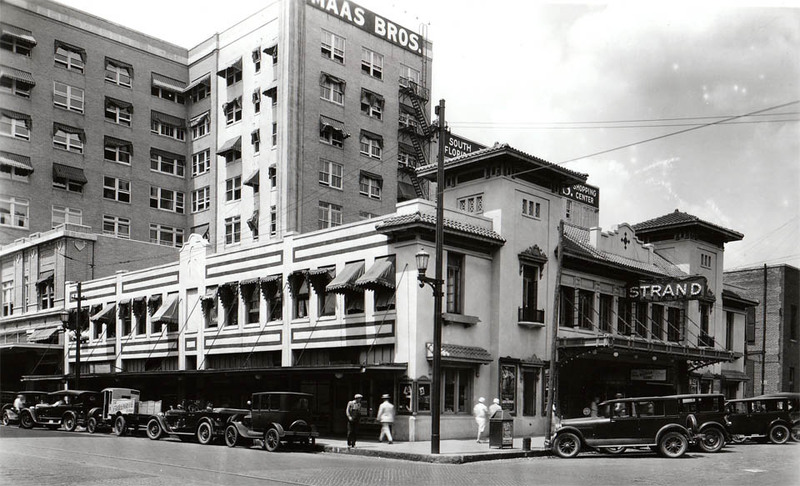 Unfortunately, in 2006, both the Maas Brothers store as well as the former Strand Theatre were demolished to make way for a parking lot. 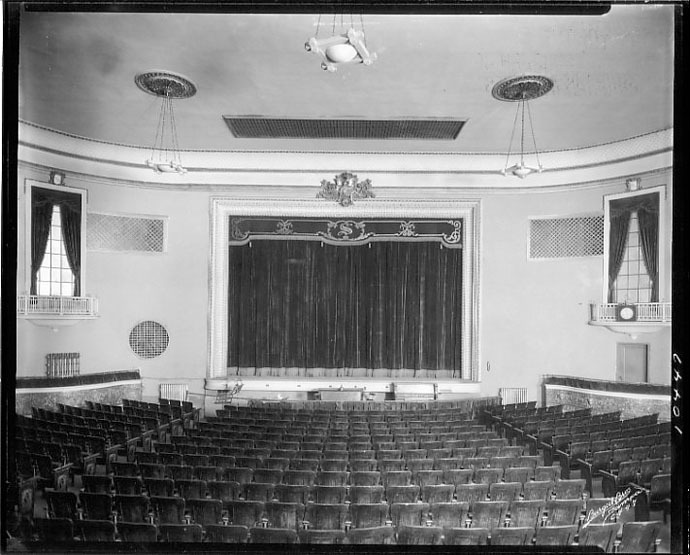 Below, is a photo from 1924 showing the interior of the Theatre. So sad that such history was distroyed for a parking lot. Thank you for the pictures ..I love your passion for Tampa History! In a sense you are keeping “historical” Tampa alive! Much appreciation from a Tampa native who loves the rich and beautiful history!